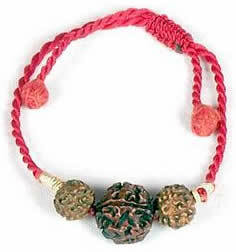 Purpose: Two Mukhi Rudraksha wristband helps maintaining good relations between husband-wife, Parents- children, teacher-student, businessmen-suppliers, professionals-clients, buyer-seller. Purpose: Three Mukhi Rudraksha wristband lessens the effects of negativity, hypertension, decreases stress, anxiety, anger, evil influence and bad luck. Purpose: Four Mukhi Rudraksha wristband helps in increasing the level of concentration, focus, memorizing power and it reduces diversification of mind. 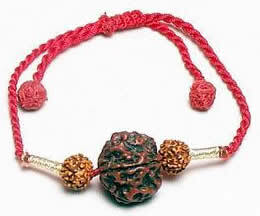 Purpose: Five Mukhi Rudraksha wristband helps in giving peace of mind and helps maintain the health of the wearer. 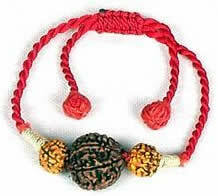 It is said that it 5 mukhi Rudraksha is very effective in maintaining the blood pressure. 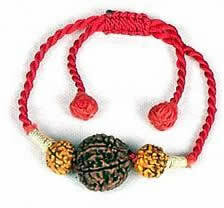 Purpose: Six Mukhi Rudraksha wristband helps to control nervousness, anxiety, tension, uneasiness & increases will power. 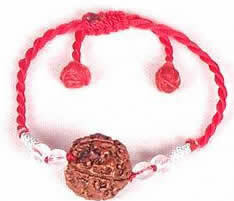 Purpose:Seven Mukahi Rudraksha wristband helps to overcome financial obstacles & to maintain health. Purpose: Eight Mukhi Rudraksha wristband helps to overcome regular obstacles in business & due course of life, and also maintains and improves the health of the wearer. 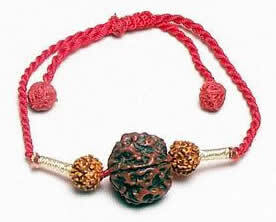 Purpose: Nine Mukhi Rudraksha wristband gives power to its possessor to fight evil & protects him from his enemies. 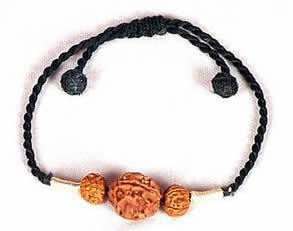 It also helps the wearer to remain energetic & keeps him away from sloth & inertia. It helps the wearer to concentrate on work.